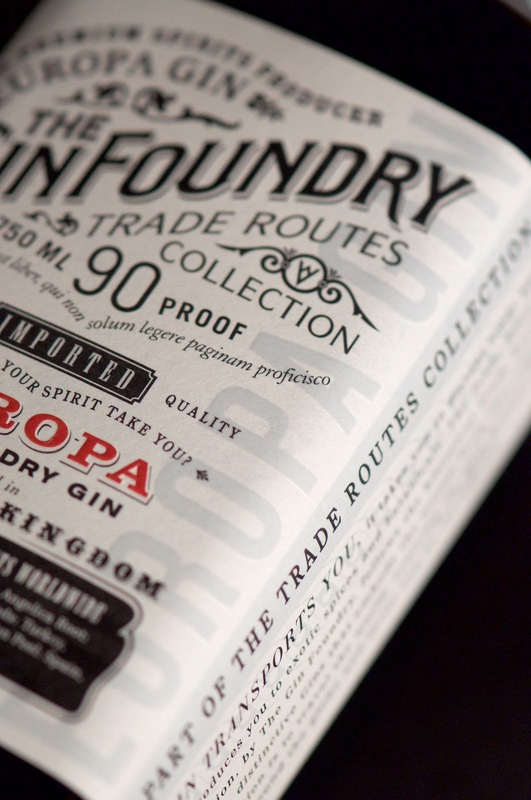 Gin, from its beginnings, was about travel and the trade routes that its crafting possible. 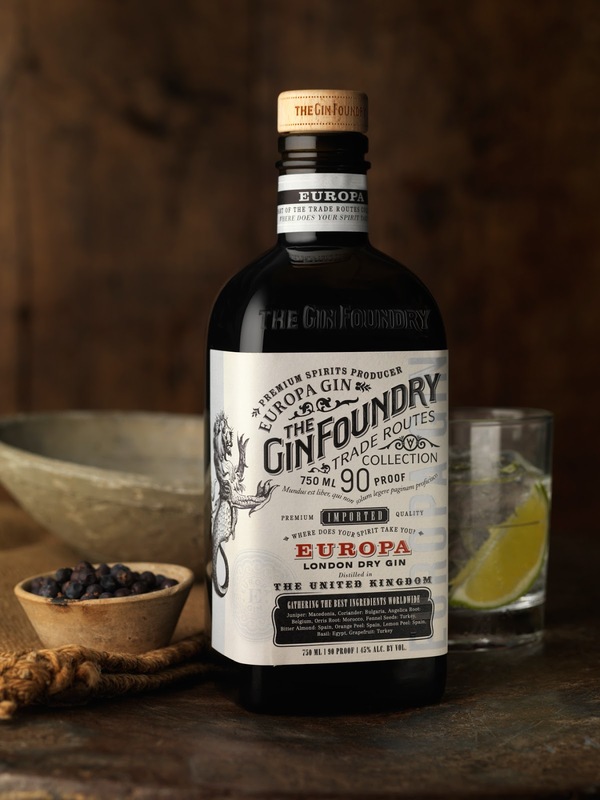 The Trade Route Collection, by The Gin Foundry, follows these ancient waterways to source the best botanicals and spices to create their distinctive gins. 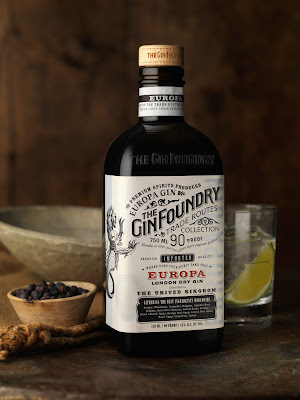 The packaging needed to be exotic and evocative, capturing the exotic trade routes while remaining flexible enough to customize each regionally inspired gin. The Europa is the first in the series to launch. The custom bottle was inspired by old apothecary bottles and medicinal gins. The design puts a modern twist on historic maps and period typography. 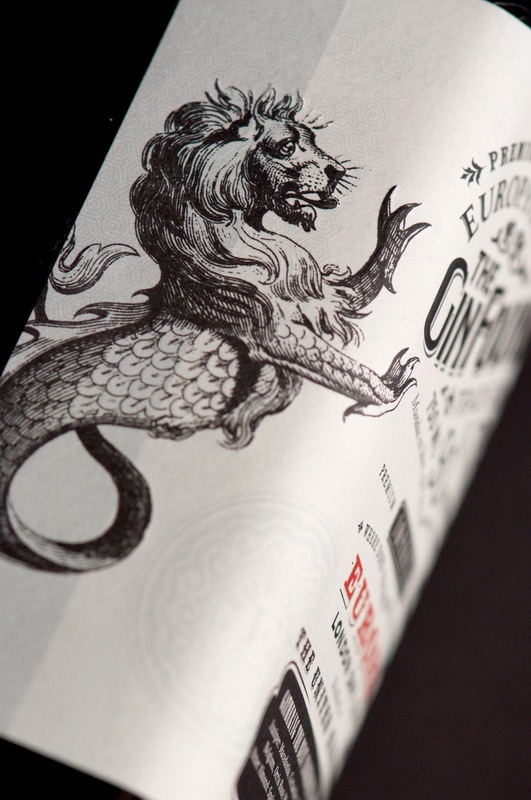 A Mediterranean blue was chosen for the Europa Gin, complemented by an etching of a sea monster. They were often depicted on the historic maps of the trade routes. 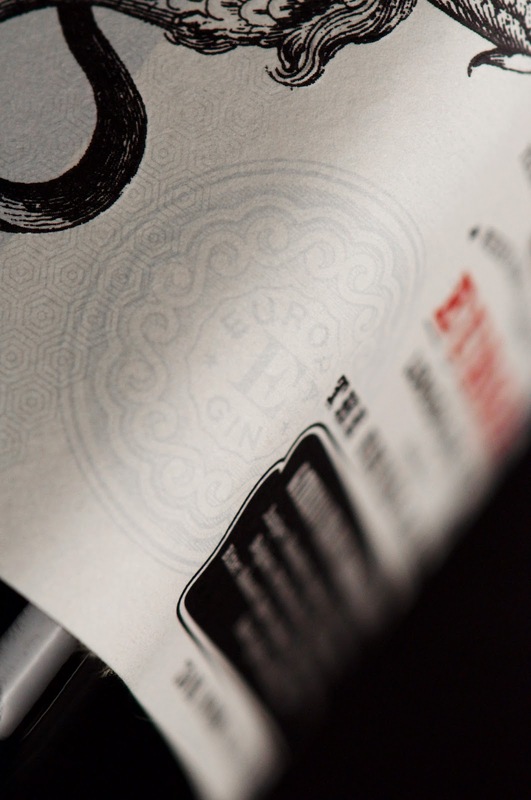 The printing is textural, with embossing and foil over stamping to put the finishing touch on the rich, layered look of the package. 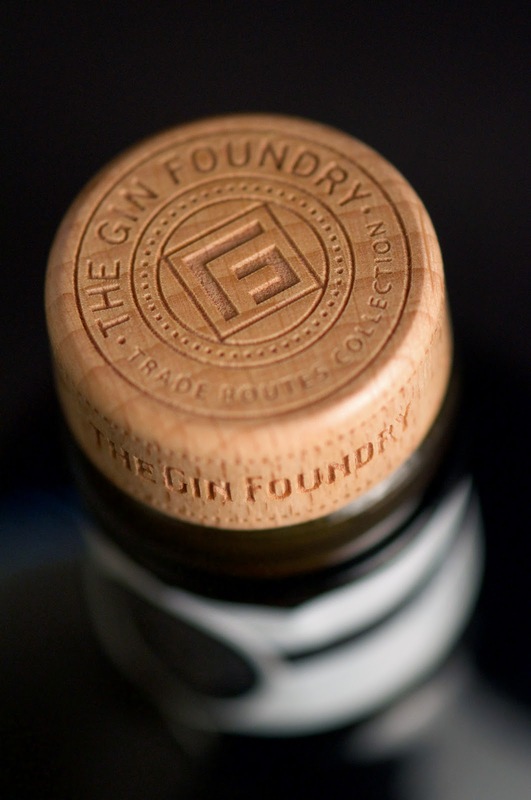 We also leveraged laser carving on the wood stopper, alluding to the mighty ships that delivered gin botanicals throughout the old world.